Casa Agave is one of the three houses incorporated in the Quinta da Encavalada. 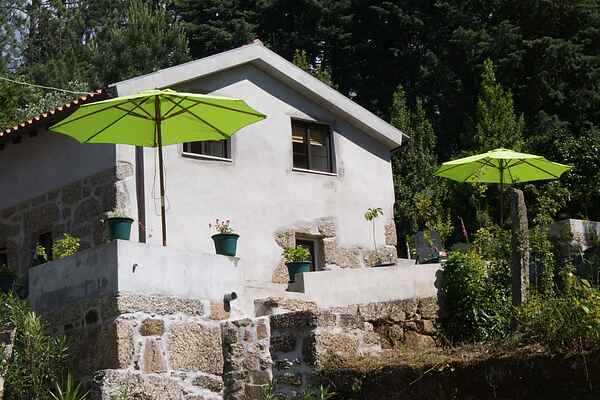 It was lovingly restored, maintaining the original granite walls, by the Dutch owner in 2013 and is now a comfortable holiday home. Casa Agave features a living room with a dining area and open kitchen, a spacious luxury bathroom and 3 bedrooms upstairs. The veranda with 40 m2 sun terrace offers complete privacy as well as some nice views across the grounds of the Quinta, all the way down to the Caramulo mountain range in the distance. This veranda also features an outdoor kitchen with barbecue. A cot or additional hotel bed is available upon request, making it possible to stay in this holiday home with 6 guests in total.